Can I deliver takeaways with my own insurance? Most fast food restaurants need their delivery drivers to have their own car, motorbike or scooter that they’re able to use for delivering takeaways. For the average takeaway owner, running just one or a small chain of outlets, it’s just not financially viable for them to provide vehicles to their delivery drivers. Any law abiding motorist will have their own insurance policy in place already, so when most people start their new job delivering takeaways it doesn’t even occur to them that they won’t be insured to do so. In most cases, standard car insurance policies cover you to use your vehicle for social, domestic, pleasure and commuting to a single place of work. Fast food delivery insurance has an additional level of cover, providing hire and reward insurance for takeaway drivers. Standard motor insurance doesn’t provide a sufficient level of cover for delivery drivers, because they operate on what is known as a “hire and reward” basis. Hire and reward simply means using your vehicle to transport something in exchange for payment (the reward). 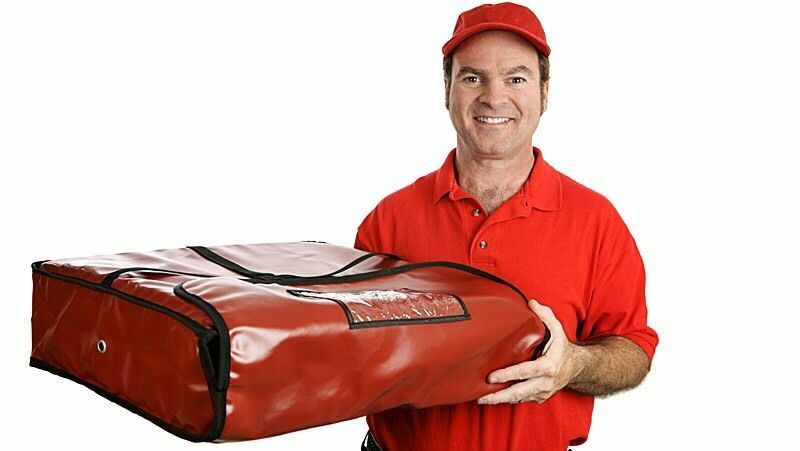 Nobody would be happy receiving a cold and soggy pizza for their dinner; so fast food delivery drivers are often under immense pressure from their bosses to get to their next delivery location as quickly as possible to avoid customers complaining. This added pressure is one of the main reasons that insurance for delivering takeaways can cost so much; working in a high-stress environment, often late into the night, means that delivery drivers are more likely to be involved in an accident than almost any other motorist. As with any type of insurance, a higher risk means a higher premium. The vast majority of mainstream insurance providers won’t even offer fast food delivery insurance; they either feel that the risks involved are too high for them or they wouldn’t be able to offer a competitive premium. Some fast food delivery drivers might be aware that their insurance doesn’t cover them, but will flaunting the rules and take the risk of using their car for work without the right kind of policy. We’d strongly suggest that you don’t opt for this route, though, as the consequences can be major. If you’re involved in an accident your insurance company could void your policy; not only would you be left without the financial cover from your insurer, you could also be penalised by the police for driving without a valid insurance policy. Ultimately, it is the takeaway owner’s responsibility to ensure that all of their delivery drivers are properly insured. If their drivers are found to be operating illegally, the owners can be penalised. This doesn’t mean that the drivers will be able to plead ignorance though and they too will find themselves in trouble with the authorities, could have their car impounded and even lose their job. For affordable fast food delivery insurance, it always pays to speak to an insurance provider that specializes in hire and reward type policies. Fortunately, Quote Chief have a broad selection of such brokers, all of whom have access to some of the lowest takeaway driver insurance rates available.